The decision to restage Afghanistan’s presidential election on 7 November 2009, following serious doubts over the integrity of the result on 20 August, takes place amid intense consultation over the international community’s military and political strategy in the country. Whatever the final outcome of the lengthy electoral process, a broad rethinking of the current international approach is required. This will need to take account of a wide range of voices and perspectives, including from Europe and Afghanistan’s neighbours as well as from within the country itself. This rethinking will be effective only if it takes a hard look at the problems in Afghanistan, sees them in the round, and establishes a clear sense of the roles and responsibilities of the various international organisations. In this light, the result of the debate among President Obama’s closest advisers over the recommendation in General Stanley A McChrystal’s report for a sharp increase of 40,000 additional troops is important. If such an escalation were to take place, among its effects would be to expose further the divergence of roles of the key international forces: between the Nato/International Security Assistance Force (ISAF’s) mandate to support the government in Kabul, the United States’s operation to eradicate insurgency, and the political mandate of the United Nations. In particular, it would reinforce both the reality and the perception that the US is calling the shots in Afghanistan - and that Nato and the UN have little influence on the overall strategy. * Can external forces help bring political stability? * How effective can the role of the UN be in such a process? * How can “outsourcing” stabilisation to regional-security organisations support such a role? A recent study of United Nations peacekeeping operations, which we have co-authored along with four colleagues at the Fundación para las Relaciones Internacionales y el Diálogo Exterior (FRIDE), considers these questions in relation to Côte d’Ivoire, Kosovo and Sierra Leone as well as Afghanistan (see Security Council resolutions under Chapter VII: Design, Implementation and Accountabilities, 29 September 2009). In the case of Afghanistan, it argues that Security Council resolutions have made the peace-enforcement operation legal, but that a combination of problems have made it ineffective and in some respects lacking in legitimacy. 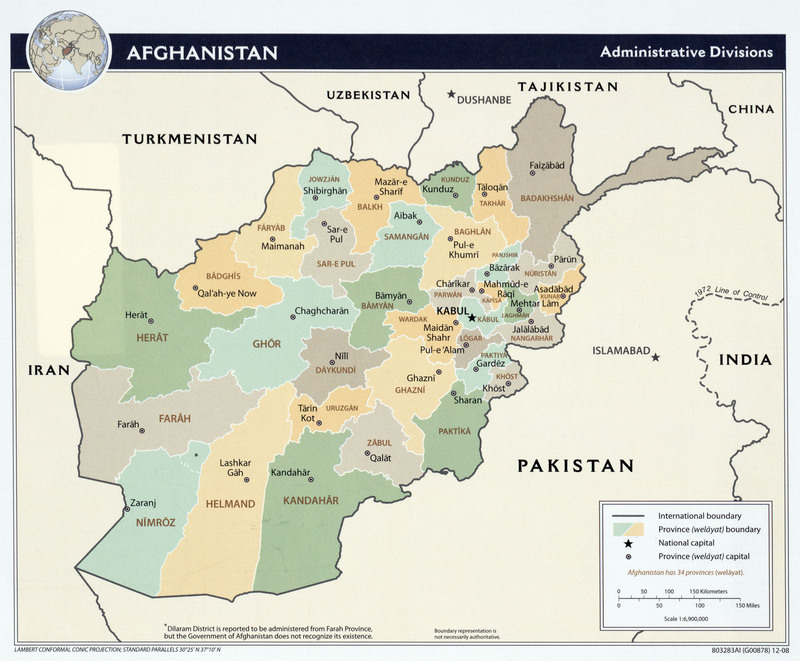 The peace-building process in Afghanistan from early 2002 was not based on a genuine peace agreement, but on the assumption that the Taliban had been permanently defeated through military intervention before the UN authorised a security force (ISAF) and a political mission (the United Nations Assistance Mission in Afghanistan (UNAMA). The state-building agenda then became increasingly challenged by both a resurgent Taliban and a series of institutional problems, of which three stand out. The first is an imbalance of resources and attention. The UN mission itself was underfunded, whereas the Nato-run military contingents - and even more so the US’s Operation Enduring Freedom - were the recipients of inflated resources, personnel and equipment; the latter increased even more as the operation moved from security assistance to full-fledged combat. The role of the UN also became increasingly difficult to implement the tasks assigned to UNAMA expanded. It was expected to coordinate aid from a large and fragmented international community while at the same time implementing its own projects and advocating peace and reconciliation, all in an environment where insecurity, civilian casualties and institutional weaknesses were reversing the democratising gains made in the early post-Taliban period. The second problem is that the initial unanimity over intervention gradually dissipated with the resurgence of the Taliban and the deterioration of the security situation. Russia and China, both members of the UN Security Council, and numerous states in the global south began to question US actions on the ground. The third (and most fundamental) problem is that the short-term goal of counterinsurgency through war-fighting has continued to undermine the long-term objectives of state-building and peacekeeping. This alone means that peacekeeping is being conducted in a situation where there is no peace to keep. As a result the international community, by becoming engulfed in a reactive counterinsurgency, is losing its credibility to act as an independent peace-enforcer. * A more strategic role for the UN. First, the lack of impartiality that has hampered the effectiveness and legitimacy of the international presence in Afghanistan must be redressed. UNAMA and Isaf were created in 2002 to assist the new Afghan government, and thus neither can be considered neutral by design. The direct involvement of troops from some Security Council member-states in war-fighting further complicates the issue. The military operation is being waged on behalf of the Kabul government against insurgency, yet this insurgency has increased directly as a reaction to the presence of foreign troops in Afghanistan. In the mind of many Afghans, the international community is a party to the war - a natural perception, given that the war against the Taliban on Afghan soil combines with the international “war on terror” and al-Qaida. This double war both adds a confusing element and increases the militarisation of the campaign at the expense of the focus on a political settlement. The greater the number of US and Nato troops in Afghanistan, the larger the resentment, resistance and violence. Second, the relationship of the United Nations and regional security actors such as Nato needs to be recalibrated. In an optimistic scenario, the two can cooperate through a division of labour: security organisations clear the terrain while the UN can focus on organising elections, state-building and delivery of humanitarian and development assistance. Such a division of responsibilities is far from clear in Afghanistan, however. The foray of the military into development and humanitarian-aid delivery, as well as the reaction of insurgents to the massive military presence and operations, have ensured that the political and development role of the UN is - at best - ineffective. Third, the role of the UN is in the end vital to bringing stability to a volatile region. The UN alone can be perceived as an impartial actor able to act as a legitimate third party, broker negotiations within Afghanistan and lead a political strategy for the region. In practice, a role of this kind for the UN should entail the international community finding ways to put Afghanistan and Afghans at the heart of peace-building efforts and the creation of a regional solution. Afghanistan’s neighbours are after all interlinked in a common regional-security complex. A unified and UN-led political strategy, in coordination with key international and regional stakeholders (Russia, China, Iran, and Pakistan, in addition to the US and Europe), could address the main regional challenges and create a peace-conducive atmosphere. To this end, the UN should appoint contact-groups and special envoys responsible for shuttle-diplomacy and strategic interventions. * To shift its foreign direction to a locally-owned enterprise with a regional buy-in.